"There's nothing more to do." Except to go see this film. Sony Pictures Classics has released a second trailer for the Hungarian masterpiece Son of Saul, directed by László Nemes. The film received a nomination for Best Foreign Language Film at the Academy Awards (and it will likely win), plus it has appeared on many Top 10 lists over the last few montha. It was #2 on my own list of My Favorite Films of 2015, and I don't hesitate to call it a masterpiece, because it is. Son of Saul stars Géza Röhrig as a Hungarian prisoner at one of the worst concentration camps during WWII. Read my glowing review from NYFF + interview with László, and check out this new trailer below. Do everything you can to see this film and sit through all of it. October 1944, Auschwitz-Birkenau. Saul Ausländer is a Hungarian member of the Sonderkommando, the group of Jewish prisoners isolated from the camp and forced to assist the Nazis in the machinery of large-scale extermination. While working in one of the crematoriums, Saul discovers the body of a boy he takes for his son. As the Sonderkommando plans a rebellion, Saul decides to carry out an impossible task: save the child's body from the flames, find a rabbi to recite the mourner's Kaddish, and offer the boy a proper burial. Son of Saul is directed by Hungarian filmmaker László Nemes, of a few shorts previously (read my interview). The script is co-written by Nemes and Clara Royer. It first opened at the Cannes Film Festival. 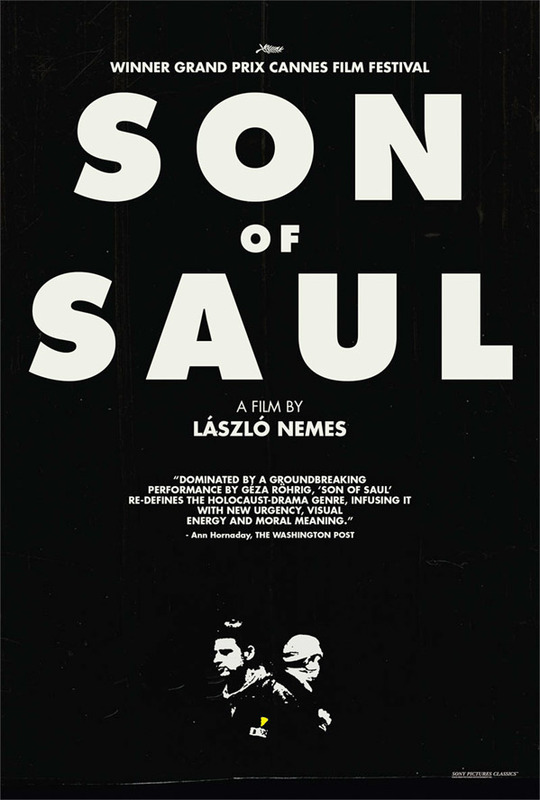 Sony Pictures Classics will open Son of Saul in select theaters starting December 18th this year. The gravity of this film looks undefeatable. On par, or exceeding, SCHINDLER'S LIST.